The nutritional composition of oil from the marijuana plant could be beneficial to your health. To most people, Cannabis sativa is synonymous with marijuana, but the plant’s Latin name means the “useful hemp.” Species designated sativa (useful) are usually among the most important of all crops. In fact, the utility of hemp is manifold: the plant has provided human beings with fibre, edible seeds, an edible oil, and medicine, not a notorious mind-altering drug. It is not also not addictive!! In our part of the world, these other uses of hemp are no longer familiar. We rarely use hemp fibre and know little about hemp medicine. 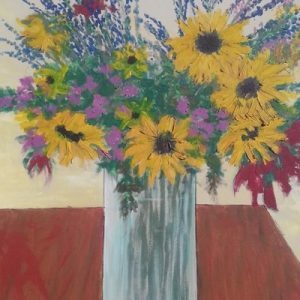 (Some cancer patients have found it to be a superior remedy for the nausea caused by chemotherapy, and some people with multiple sclerosis are grateful for its relaxant effects on spastic muscles.) Hemp seed is sometimes an ingredient in bird food; otherwise, edible products from Cannabis sativa are virtually unknown. This may all change. In many parts of the country, promoters of hemp cultivation are working to educate people about the immense potential of this plant and to reintroduce it into commerce. They champion hemp as a renewable source of pulp for the manufacture of paper, as a superior fibre for making cloth, and as a new food that can be processed into everything from a milk substitute to a kind of tofu. 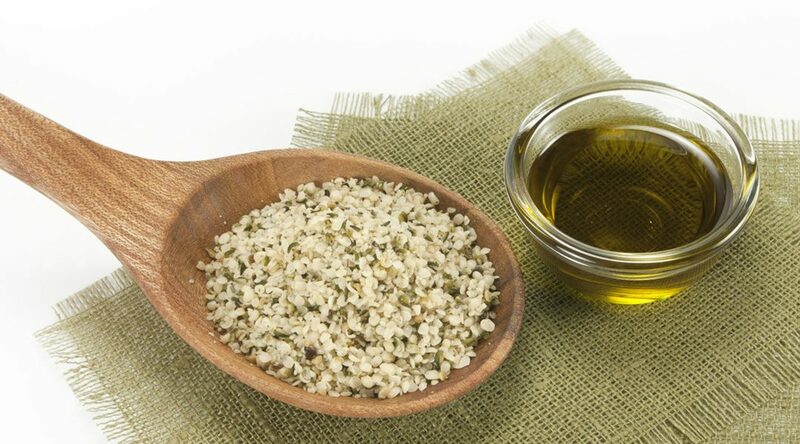 Hemp seeds contain 25% high quality protein and 40% fat in the form of an excellent quality oil. Hemp oil is now coming on the market. Produced by the Ohio Hempery in Athens, Ohio, it will be sold through natural food stores in small, opaque bottles to be kept under refrigeration. It has a remarkable fatty acid profile, being high in the desirable omega-3s and also delivering some GLA (gamma-linolenic acid) that is absent from the fats we normally eat. Nutritionally oriented doctors believe all of these compounds to be beneficial to health. Hemp oil contains 57% linoleic (LA) and 19% linolenic (LNA) acids, in the three-to-one ratio that matches our nutritional needs. These are the essential fatty acids (EFAs) – so called because the body cannot make them and must get them from external sources. The best sources are oils from freshly ground grains and whole seeds, but EFAs are fragile and quickly lost in processing. EFAs are the building blocks of longer chain fats, such as eicosapentaenoic (EPA) and docosahexaenoic acid (DHA) that occur naturally in the fat of cold-water fish like sardines, mackerel, salmon, bluefish, herring, and, to a lesser extent, tuna. fatty acids in foods, and I worry about toxic contaminants in fish oil supplements. But what can you do if you choose, for one reason or another, not to eat fish? You can get some omega-3s in expeller pressed canola oil, the only common vegetable oil that contains them. A much richer source is flax oil. Flax oil is pressed from the seeds of Linum utilitatissimum, the source of linen fibre and an oil better known in this country as linseed oil, the base for oil paints. For dietary purposes flax oil must be pressed at low temperatures, protected from light, heat, and air, stored at cool temperatures, and used quickly once the containers are opened. Most flax oil is unpalatable. There is great variation in taste among the brands currently sold in natural food stores, but the best of them still leave much to be desired. Udo Erasmus, author of the classic book, Fats and Oils (Alive, 1986), [and Fats that Heal, Fats that Kill, The Complete Guide to fats, oils, cholesterol and human health, Second Printing of Fats and Oils, (Alive, 1996). This book is a fabulous resource on nutrition —ratitor] says that the problem is freshness. Unless you get flax oil right from the processor and freeze it until you start using it, it will already have deteriorated by the time you buy it. Hemp oil contains more EFAs than flax and actually tastes good. It is nutty and free from the objectionable undertones of flax oil. I use it on salads, baked potatoes, and other foods and would not consider putting it in capsules. time the seeds are ready for harvest, resin production has dropped even further. Finally, the seeds must be cleaned and washed before they are pressed. As a result, no THC is found in the final product. A second question that people may ask is, “Is hemp oil illegal?” The oil itself is perfectly legal. Hemp seeds are allowed in commerce if they have been sterilized in some way to prevent germination. This is usually done by subjecting them to heat. At the moment, the Ohio Hempery is importing sterilized seeds from Canada and extracting the oil here, but it hopes to get some sort of exemption from this requirement in order to be able to use the freshest seeds possible in the future. Obviously, there is a political dimension to the appearance of this product. For many years, Cannabis sativa has been stigmatized as a satanic plant and its cultivation has been prohibited. As an ethnobotanist interested in the relationships between plants and human beings, I have always felt that making plants illegal is was stupid, especially when the objects of these actions are supremely useful plants like hemp. The plant is not responsible for human misuse of it. The efforts of the Ohio Hempery and other groups to promote hemp cultivation are part of a campaign to rehabilitate this plant and change society’s view of it. Whether or not you wish to join that campaign, it must seem counterproductive to deny ourselves access to the many benefits that hemp offers. Of those, the gift of an edible oil with superior nutritional and therapeutic properties is one of the most important.